Talk-radio host Michael Savage has spoken out against Barack Obama. He says America can’t survive another four years of Barack Obama. Not only that, he also calls upon Republican presidential contender Newt Gingrich offering him $1 million to drop out of the race within 72 hours. 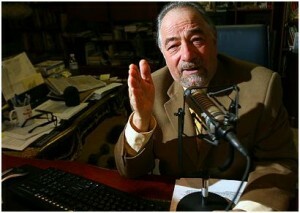 “If Newt Gingrich really loves this country as much as he says he does, if he really wants what is best for America, he will set his ego aside, call me and accept my offer,” Savage wrote on his website today. Lady Gaga To Perform At Obama Inaugural Ball! Previous: Jow Mauer is Engaged!